Why it is not possible to inhibit the integration of irregular migrants without damaging community cohesion and the integration of society as a whole. The fast-growing field of migration studies has produced an abundance of definitions and understandings of the concept of ‘integration’. Most of them describe (certain aspects of) the complex and multifaceted social processes through which immigrants become part of the societies in which they have come to live, whether by chance, choice or force, momentarily or for many years. The one thing that these various definitions and understandings seem to have in common is the idea that integration is something inherently good: It is good for the individual (or group) that ‘integrates’ and thereby acquires the cultural and practical knowledge and develops the interpersonal links that will allow for a good, successful and independent life in the new country of residence. It is also good for the society ‘into which’ they integrate, because that ensures its cohesion, furthers solidarity among its members, and allows for a peaceful cohabitation and meaningful exchange with other groups and individuals that together make up that society. Conversely, any perceived ‘lack’ of integration (or willingness to integrate) on the part of certain immigrant groups or individual newcomers quickly becomes a powerful argument to justify new restrictions on further (unwanted) immigration. 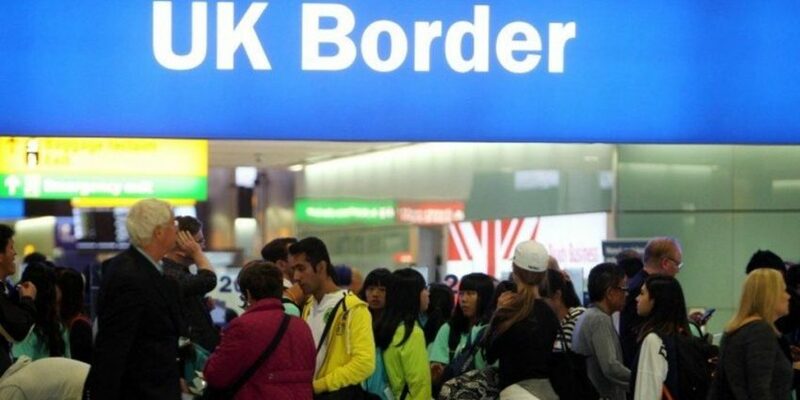 In the form of so-called pre-entry ‘integration tests’ for foreign spouses of third-country nationals who apply for family reunification, this logic has already become part and parcel of contemporary regimes of immigration control, selection and restriction. What underlies any state effort to ‘effectively manage’ the entry and stay of foreigners is the seemingly clear-cut distinction between ‘legal’ or ‘regular’ immigrants and those whose immigration or residence is deemed ‘illegal’ or ‘irregular’. At least officially, integration is always only expected of the former, but also the latter can in many ways become part of the societies in which they live, often for considerable periods of time. Arguably, it is precisely this empirical fact that increasingly challenges the sovereignty of states over their external and internal borders. 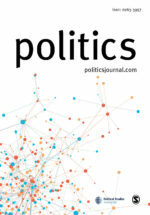 In my contribution to this special issue of Politics I therefore look specifically at the integration of immigrants who reside irregularly in the United Kingdom. Although it essentially involves the same social processes as in the case of ‘regular’ immigrants – language learning, work, institutional knowledge, adaptation, and so on – their integration effectively happens ‘against the state’, as stated in the title of my article, “Integration against the state: Irregular migrants’ agency between deportation and regularisation in the United Kingdom“. I also show how the government has reacted to this reality with a policy that increasingly relies on the criminalisation of more and more aspects of such ‘irregular integration’. This is affecting not only their possibility of (formal) employment but also to privately rent accommodation, see a doctor, move within the city, marry, or go to college. In the article I argue that this has significant implications for how we understand and conceptualise irregular migrants’ agency vis-à-vis the state in which they live; but also for how we look at the way the state tries to ‘fight’ the phenomenon of irregular migration. Conceptually, I have therefore tried to highlight two (related) aspects of their integration. First, that it always involves their individual agency. Second, that it also depends on those individuals and institutions that are at the other end of their various interactions, exchanges and legitimate claims for fundamental rights (e.g. to basic healthcare) or membership (e.g. in a church community). The former reflects the legal fact that one of the most effective ways for irregular migrants to actively avoid deportation and better their chances to be regularised is precisely by integrating into various spheres of local everyday life. The latter implies that control and restrictions placed on irregular migrants’ integration will also (have to) target many other – ‘regular’ – members of society, including private landlords, doctors and local school or welfare administrators. Ultimately, I wanted to highlight what very often remains unacknowledged in public, political, but also scholarly debates around integration, that is, that it actually involves two conceptually different but intrinsically related aspects: The ‘integration’ of a particular individual or group into society, and the ‘integration’ of that same society as a social system. In policy language, the latter is usually referred to as social or community ‘cohesion’ or the ‘inclusiveness’ of society (or its institutions) and as such – particularly if related to immigration – quite often taken for granted and/or presented as being under threat by the arrival of newcomers, and especially those ‘reluctant to integrate’. Essentially, however, both an individual’s integration into, and that of society as a whole, hinge on the same connections and interactions between people and thus cannot be regulated as if they were two entirely separate processes. The broader argument (which also underpins my current work on the provision of various kinds of mainstream public services to irregular residents) is that an attack on the former is almost always also an attack on the latter. The British case shows very well that the ‘fight against irregular migration’ is increasingly directed against irregular residents’ integration that often hinges on the inclusiveness of institutions and the support they receive from other members of society. These, in turn, are increasingly targeted by (or even enlisted for) immigration law enforcement, which undermines solidarity within local communities and the overall cohesion of society. This is a price that might not be worth paying for being able to hold on to the illusion – comforting as it may be – of contemporary nation states’ absolute ability to control their borders. 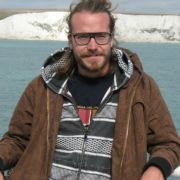 Reinhard Schweitzer is a PhD candidate (final year) at the Department of Geography, University of Sussex (UK), and member of the Sussex Centre for Migration Research.